Thank you Villa Direct for a great vacation and an awesome home in the Paradise Palms Resort. Truly my family and I were very satisfied with everything especially the super customer service that you provided. Michelle, Lisa you ladies are awesome!! We will definitely be vacationing again with you. Good Times!! I have booked threw villa direct for years and wouldn't go any other way. Just booked again on Saturday and today had someone calling to see if that could assist me any further. AAA service!! Love this company!! 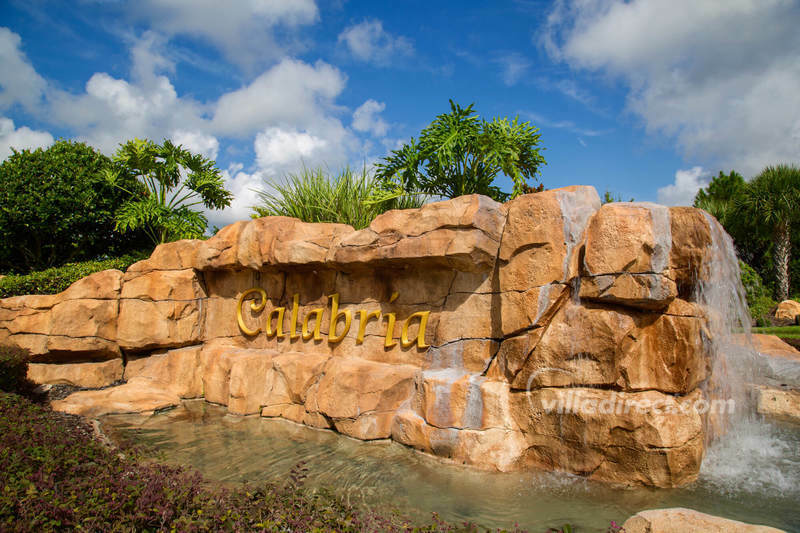 Calabria is an upscale community of 4, 5 and 6 bedroom Mediterranean style homes, located just minutes from all the fun and excitement of the theme parks and attractions of Orlando and Kissimmee. The nearest theme park, Disney's Animal Kingdom is just 6 miles from your doorstep by car, and all the other Walt Disney World® Resort parks are just a few minutes more away. When you want to eat - there are over 50 local restaurants to choose from on the ''192'' strip, that's just a mile from Calabria. If you want to eat in - there are supermarkets and shops just minutes away.